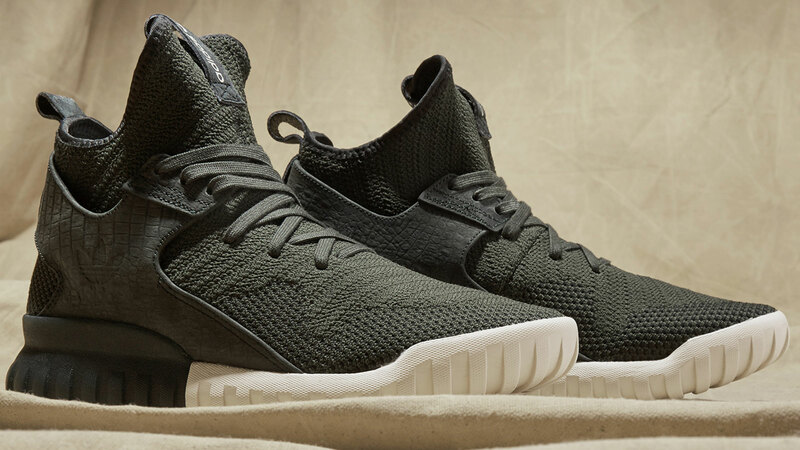 ADIDAS TUBULAR X PRIMEKNIT "CLEAR GRANITE" & "SHADOW GREEN"
If you’re looking to kick your shoe game up a notch, then check out the latest drop from Adidas – the Adidas Tubular X Primeknit “Clear Granite” & “Shadow Green” ($149). 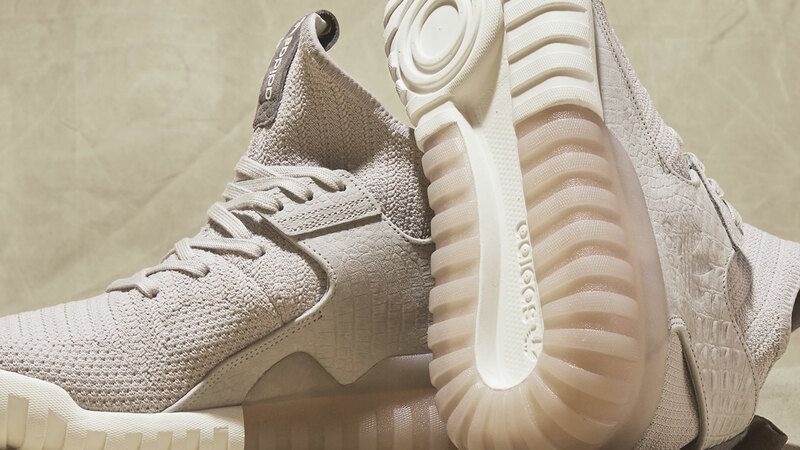 With the latest release of the hugely popular silhouette, Adidas continues its use of the snakeskin theme. 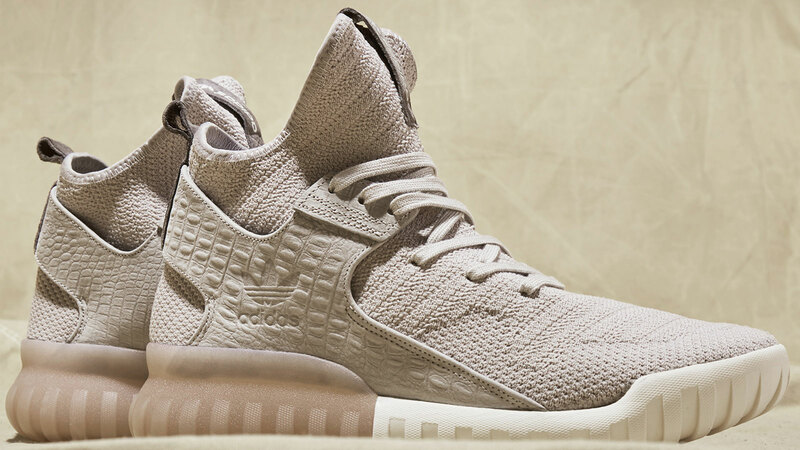 The shoe features a tonal Primeknit upper wrapped in a leather reptile printed cage embossed with the Trefoil logo. 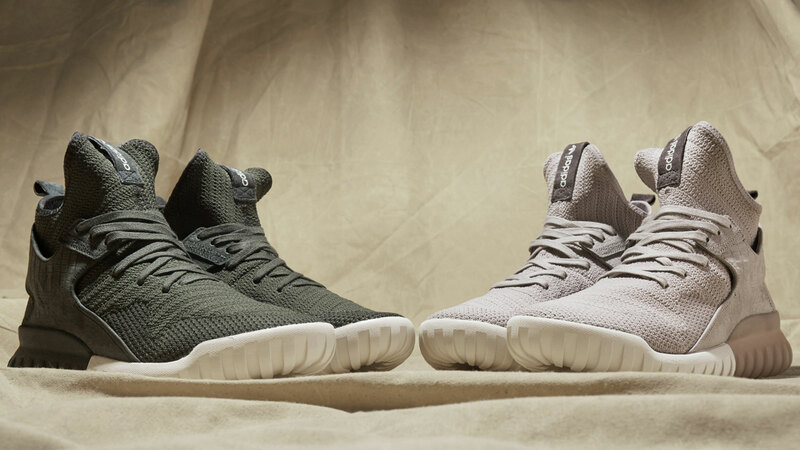 Laces and tongue pull tab also follow the same tonal colors. The whole kit sits on a two-toned Tubular sole unit. 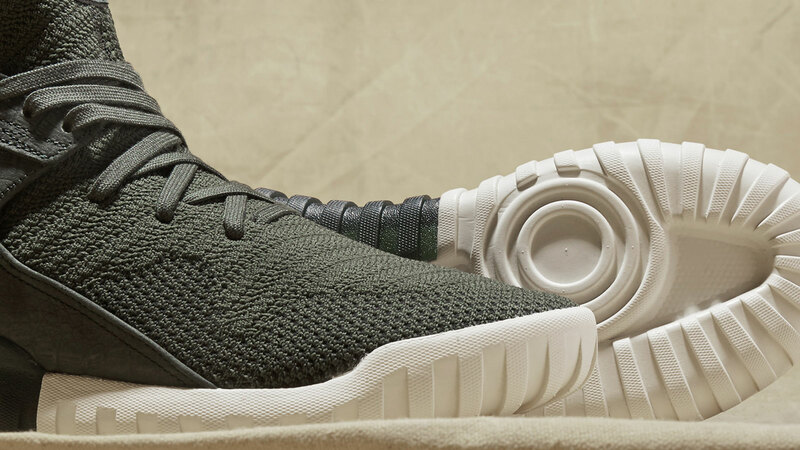 I don’t see these kicks going with your standard khaki’s unless they’re finished off with a nice slender jogger style leg. NIKE STASIS ACG "BAROQUE BROWN & URBAN ORANGE"